Carrickmacross, a broad and pleasant market town on the extreme east of the region in County Monaghan, was famous for its lace during the mid-19th century and is still practiced by local nuns. A grant of land in the neighbourhood was made by Elizabeth I to the Earl of Essex, but little remains of his castle (the site is now occupied by the Convent of St Louis). Southwest of the town is the wooded parkland and house of Lough Fea. The house looks like an Oxford college in miniature (Thomas Rickman, 1827). The slender-spired Catholic Church has windows by Harry Clarke. Shercock, to the West, overlooks Lough Sillan, in which some of the largest specimens of horns from the extinct Irish elk have been discovered. The road from Carrickmacross to Lough Muckno continues north, passing the great motte of Donaghmoyne. The market town of Castleblayney takes its name from Sir Edward Blaney, governor of Monaghan under James I. He received a grant of land on condition that he erected a fort between Monaghan and Newry. 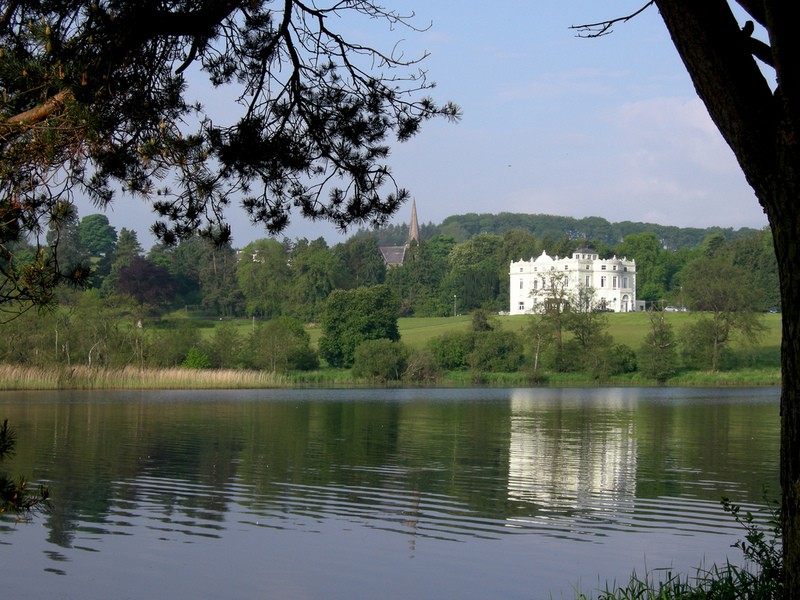 It stands on the shore of Lough Muckno, the largest and most beautiful of the many lakes in the district (240 hectares). Hope (or Blaney) Castle, adjoining the town, with fine grounds, is now a convent. The road leads north, and skirts Clay Lake, veering northeast through Keady, a market-town and nationalist stronghold, once a linen-manufacturing centre, for Armagh, 12km beyond. From Castleblayney the road continues northwest through Clontibret. A little to the east was the scene of a battle in May 1595 in which Hugh O’Neill, second Earl of Tyrone, humiliated the Government forces of Sir Henry Bagenal, and repeated three years later at the Yellow Ford. Clontibret was also attacked by a mob of Loyalists, in August 1986. The road then bears west to Monaghan. Lough Muckno is a real hidden gem and is worth a visit on your tours of Ireland.